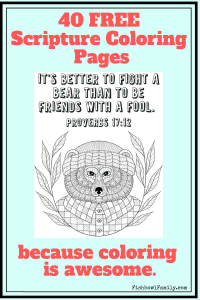 Coloring pages that are covered in scripture and filled with fun designs make it even more awesome. 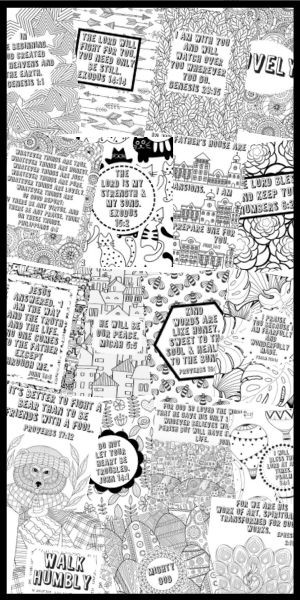 To get your FREE copy of 40 of our favorite coloring pages, simply enter your name and email address in the form below to subscribe to our mailing list. We’ll send you instant access to these 40 fantastic pages PLUS the password to our FREE Printable Library. Click here to purchase the full 127-page bundle for just $5!